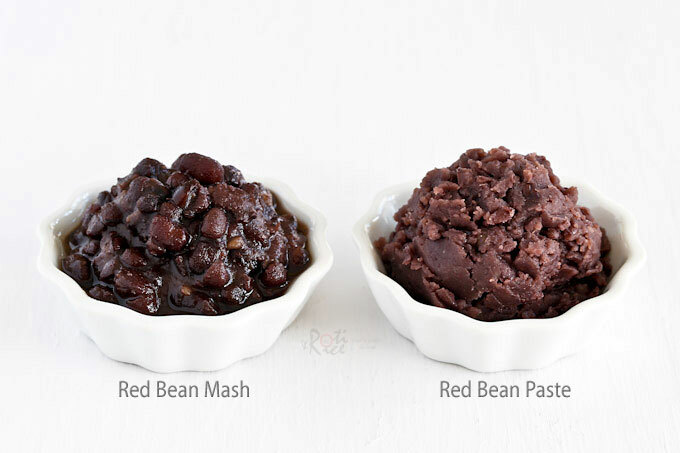 Learn how to make Sweet Red Bean Mash in this video tutorial. It is a popular ingredient used in many Chinese and Southeast Asian desserts. Red bean paste is found in many Chinese and Southeast Asian desserts. You can purchase this popular ingredient quite inexpensively in convenient cans or plastic packages. As such, they are not as often made at home. However, store bought red bean paste can be quite sweet. If you prefer a less sweet version, making your own is the way to go. 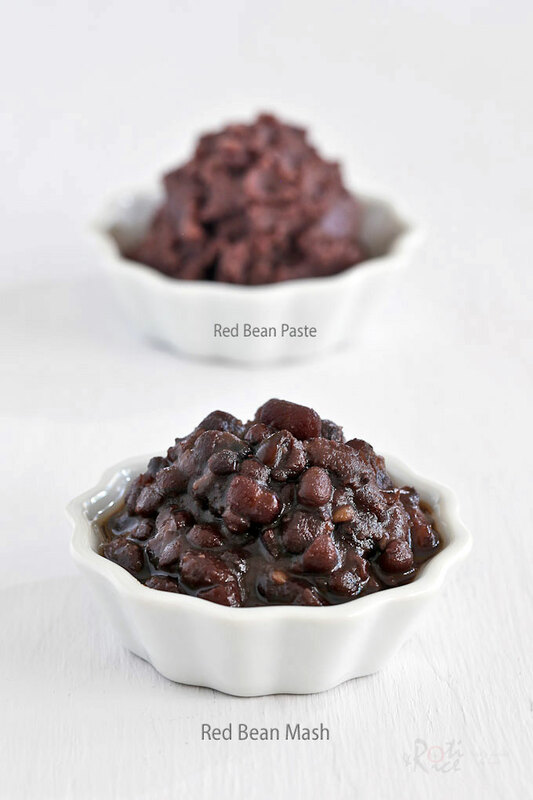 There are basically two types of red bean paste. One is chunkier and more moist while the other has a very fine texture. A little oil is sometimes added to the paste version to give it a shiny appearance. To differentiate between the two, I call the chunkier version Sweet Red Bean Mash. As you can see from the picture below, the texture is quite different. 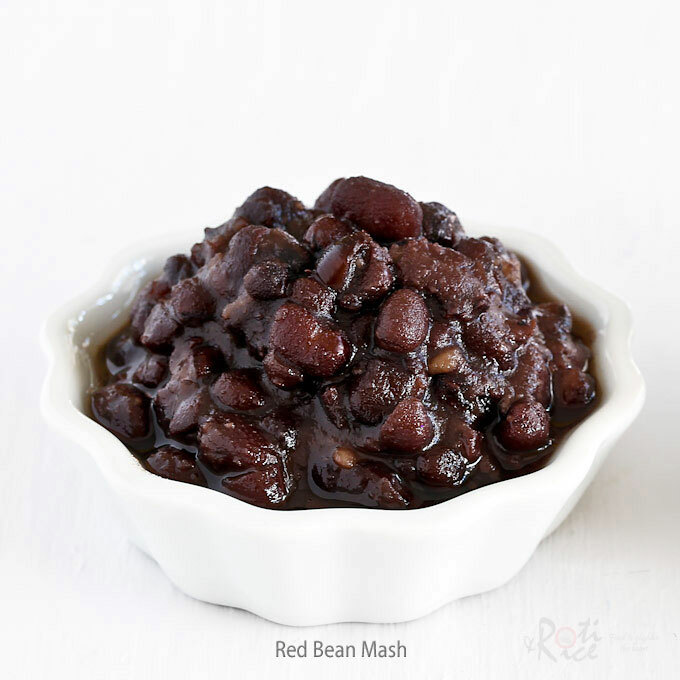 Sweet Red Bean Mash is simply cooked until soft. It has a shiny appearance with a little sauce and still some whole red beans in it. On the other hand, red bean paste is more opaque and has a finer texture. 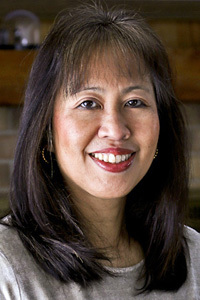 This finer texture is usually achieved by processing the cooked red beans in a blender. The texture will be even smoother if you run it through a food mill so that the red bean skin is removed. You may ask, “Which kind should I make?” This depends on the kind of dessert you wish to use it in. I made this batch of Sweet Red Bean Mash for the Ais Kacang Gula Melaka (Shaved Ice with Beans and Palm Sugar Syrup) I shared last week. I will also use this for Red Bean Ice Cream. Red bean paste is normally used in Tau Sar Bao (Steamed Red Bean Buns, Jian Dui (Sesame Balls), Tang Yuan (Glutinous Rice Balls in Syrup), Shanghai Pancakes, and Mooncakes. Please note that additional cooking may be required to make the paste more suited for each kind of dessert. Wash and drain red beans 2 to 3 times or until water runs clear. Top up with fresh water to cover beans. Soak for 4 to 8 hours. Drain red beans. Transfer to a medium size saucepan. Top up with enough fresh water to cover red beans. Place saucepan on the stove and bring water to a boil. Reduce heat to low and simmer for 45 minutes to an hour. Top up with a little water when necessary. After 45 minutes to an hour, most of the water would have evaporated and beans should be very soft. Add sugar and salt. Stir to melt the sugar. Turn off stove and allow red bean mash to cool. Red bean mash will thicken slightly when cooled. Store in refrigerator for up to one week.